MSP doesn't cover therapy or counselling services. Some extended healthcare benefit plans do provide reimbursement for some or most of your care. As the employee, you need to contact your insurance to find out what they will cover and for which credentials (psychologist, clinical counselor, social worker etc.). If you have an Employee Assistance Program, check with them about the therapy services provided. Often they will fully cover a limited number of sessions with therapists they contract with. Our individual fees vary. Please contact therapists individually to inquire about cost of service. Each therapist manages his/her own schedule and appointment times. 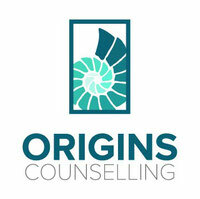 Once you have determined which therapist you would like to work with, contact them directly to set up a time to meet. We have daytime, evening, weekend appointments available. Some of us provide online therapy as well. If time is an important criteria for setting up therapy, please notify us when requesting an appointment. Our office is located on the corner of Cook St. and View St. It is accessible by many bus routes, and has free 2 hour parking along View. There is also a pay parking lot in back. We are wheel chair accessible. All doors are ground level and operate by push buttom. Our office is accessible by elevator. Still have a question that we didn't answer? Contact us and we will be happy to answer any other questions.